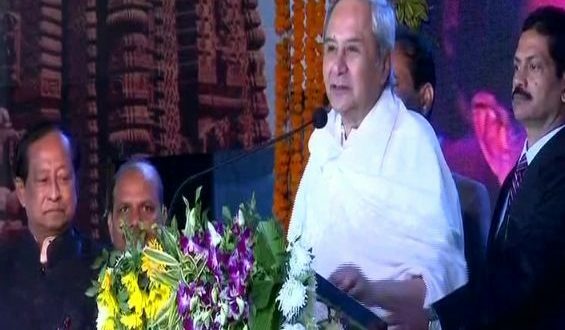 Surat:17/12/18: Chief Minister Naveen Patnaik on Monday announced a set of initiatives for the Odia speaking people in Gujarat including extending the benefits of Biju Swasthya Kalyan Yojana (BSKY) for them at a well-attended event in Surat. He said his government will take steps to extend the benefit of the healthcare scheme for Odias’ across the country including those in Surat as he sought to silence the critics who had questioned the efficacy of the scheme beyond the state. Gujarat Chief Minister Vijay Rupani had earlier today slammed Patnaik in Bhubaneswar for ignoring the Centre’s Ayushman Bharat programme and said the benefits of BSKY can only be availed by people inside the state and not by Odias in Gujarat. Addressing over a lakh people in the diamond city, Patnaik said the state government run health scheme was non-discriminatory in nature befitting both APL and BPL families. Patnaik’s visit to Gujarat is being seen by the Opposition as an attempt by the ruling party to reach out to the Odia voters both in Gujarat and in Ganjam district ahead of the assembly elections due in the next five-six months. Both the Congress and the BJP has termed his visit as a political gimmick. Inaugurating the Odia Mahotsav celebrations, Patnaik informed the crowd that he has written to his Gujarat counterpart for allocation of land to set up a Odia cultural centre in Surat. He said his government has earmarked Rs 10 crore for the project. He said his government was also considering a proposal to allow Odia students in Surat take up the matriculartion exams in Odisha and will provide Odia books to the students of the city. Besides, his government was considering opening a plus-two college there. He also informed the crowd about his request to the Centre for starting new train services between Berhampur city and Surat and flights between Bhubaneswar and Surat. Hailing the skilled workforce of the state and their contribution towards the economic progress of both Odisha and Gujarat, the CM said Odias’ have made a distinct identity for themselves across the country through their efficiency and hard work. “The Odia society is today marching ahead with confidence,” he said.